The Coleman Red Canyon Dome Tent is a clear triumph in the art and design of tent-making especially when considered against many traditional and substandard options on the market. Apart from the advantage of accommodating eight campers, this tent allows the users to divide it into three separate rooms for increased privacy or utility value. Moreover, the Coleman is conspicuous because of its superior aesthetic qualities for campers with some strong bias towards beauty. 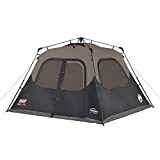 The designers of this tent spent sufficient time and effort to reinforce and enhance the dominant features of this tent for the sake of durability and reliability. 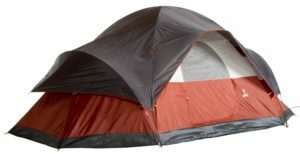 This Coleman tent is the perfect tent for family camping in spring, summer, or fall. With its 10’x 17’ footprint, it’s plenty big for large families. 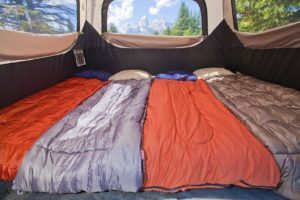 It will comfortably sleep eight people with room to spare for duffel bags or backpacks. It has a 72” peak height which provides adequate headroom for most people. The modified dome shape makes the tent more aerodynamic and allows it to remain stable even during windy weather conditions. 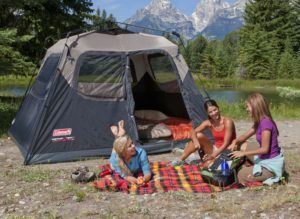 And in the event of those passing summer showers, the Coleman Red Canyon Tent has a waterproof floor and water-resistant fabric walls. 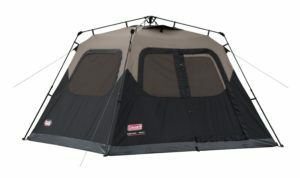 The tent also comes equipped with a 100% waterproof rain fly to ensure your tent stays dry. 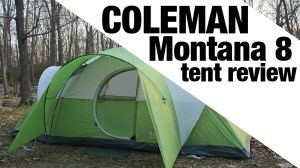 This Coleman tent is the perfect answer for weekend camping trips for large or small sized families. 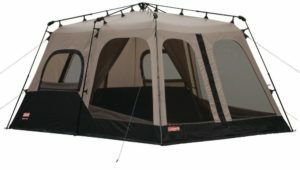 It has all the features you need for a comfortable and enjoyable camping adventure!